Ask any mother her greatest fear, and overwhelmingly the response will be the same: the death of a child. Chapel Hill writer Carol Henderson has captured the pain, loss and recovery associated with losing a child of any age in her latest book, Farther Along: The Writing Journey of Thirteen Bereaved Mothers, released this month. Through the book, readers witness the healing process as these mothers write responses to prompts provided by Henderson over a 10-year period – stories of moving through their own inner deadness to a wholeness they could not possibly have imagined on the Saturday morning in 2002 when they met for the first time at a writing workshop for bereaved mothers. “I offered it as a one-day workshop,” Henderson said last week in the Westwood home where her husband, Bill, grew up. Carol, from Princeton, N.J., met Bill, also a writer, in New York City. They married and lived in Rhode Island, Boston and Los Angeles, always with the thought of the little house in Chapel Hill in the back of their minds, before moving here in1989. 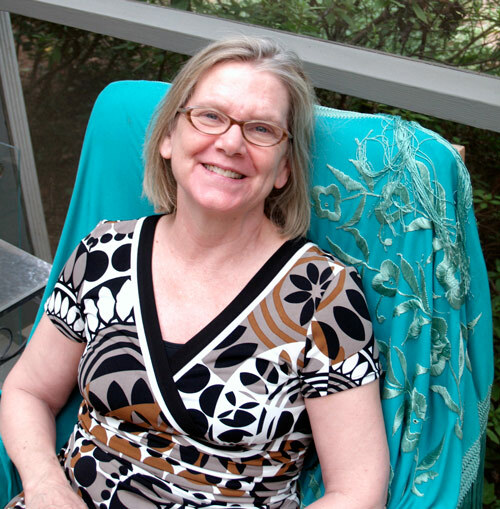 Many will recognize Carol from the column she has written for The Chapel Hill News since 1990. She also edits, teaches writing workshops and coaches writers. In 2001, Henderson’s book Losing Malcolm: A Mother’s Journey Through Grief started her on a whole new workshop track as she publicly faced the pain of their loss in 1982, when their first-born child, Malcolm, died during his second open-heart surgery at the age of 42 precious days. The response to that book led her to prepare for a writing workshop for grieving mothers. She worked with a trauma-healing therapist and posted notices all over the state about “The Healing Power of the Written Word” workshop to be held at Salem College in Winston-Salem. Thirteen women enrolled for what was a transformative day that left them asking for more. Henderson has given such workshops all over the country, but this is the only one with a life of its own. Twelve of the mothers, plus Henderson, have continued the journey, meeting twice a year for weekend writing retreats at vacation homes in the mountains and at the beach. The change in the women is apparent in the clips of their writing that Henderson provides in the book she expertly laid out. It opens with an explanation of how they came to write together; then she gives us an introduction to each woman that includes her photo and a photo of the child who died, plus a few short sentences summarizing the facts of that child’s life. Henderson adds a few paragraphs describing how each mother presented herself on the first day, and an excerpt from her writing. After we’ve “met” them all, we learn about their first day together, which, through Henderson’s vivid descriptions of the cold room where they met, makes the reader almost as uncomfortable as they must have been. As the room warms, their fears subside and the words flow along with their tears. Throughout, Henderson instructs the reader on how to facilitate such a group, and includes a chapter at the end that provides all the prompts. Ten years later, the book of their journey to healing through writing shows us 13 courageous women who have shared the good and the bad of life over a decade of support. They will embark next month on a 10-year anniversary trip to a 12th-century French chateau, where the writing continues. All proceeds from the sale of the book will go to support the SECU Family House in Winston-Salem, which was built through the fundraising efforts of several of the mothers. The book is available at Flyleaf Books, which will host a reading on Aug. 25 at 2 p.m., and at Quail Ridge Books in Raleigh, where a reading will be held on Aug. 30 at 7:30 p.m. Contact Valarie Schwartz at valariekays@mac.com or (919) 923-3746.